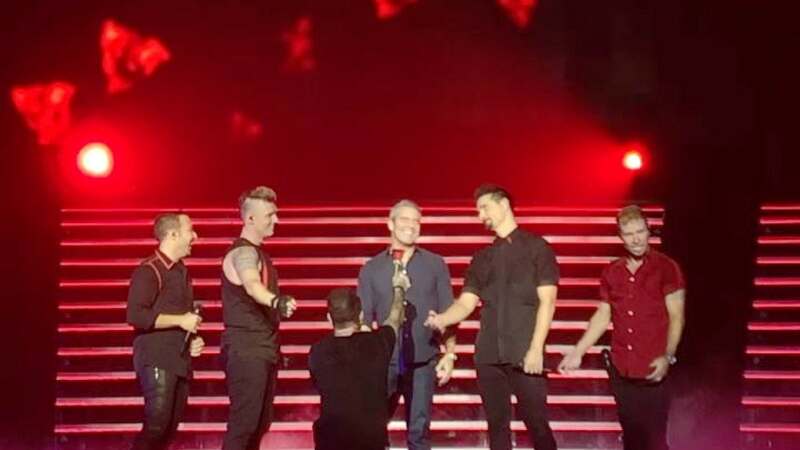 Andy Cohen joined the Backstreet Boys onstage for a performance during a concert in Las Vegas. 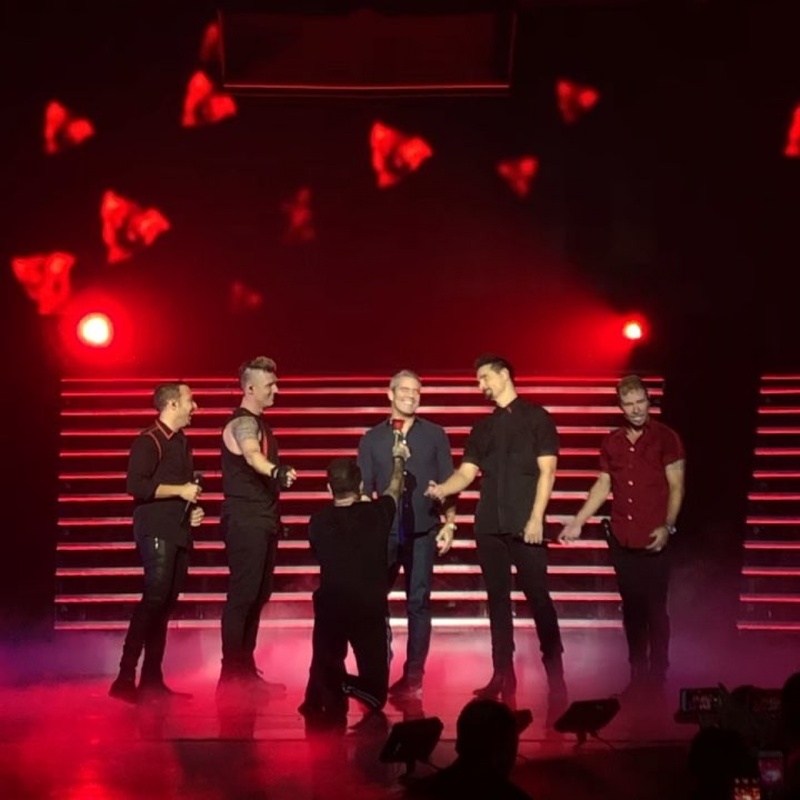 Cohen posted on Instagram Sunday a video of himself singing "Shape of My Heart" alongside Backstreet Boys members Nick Carter, Brian Littrell, Howie Dorough, Kevin Richardson and AJ McLean. Cohen received a red rose after the song was completed. "I'm totally a Backstreet Boy now! #ShapeOfMyHeart," the "Watch What Happens Live" host said alongside the video. The Backstreet Boys also uploaded video from the concert on Twitter writing, "Watch what happens in Vegas... stays in Vegas!! Thanks for coming to #BSBVegas, @Andy & the @BravoWWHL team!" Cohen, in an accompanying photo, posed with the Backstreet Boys backstage. Zappos Theater at Planet Hollywood in Las Vegas. The group will be performing at the venue through April 29.